It's funny, I always think of this album as including the singles since your cassette had both. That being said, these 6 songs will always remind me of being a young man discovering "alternative" music. Even better? They lived in the NW like me. And their music sounded like the NW. That sounds corny but I think it makes sense. 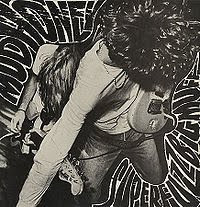 Certain bands have a way of sounding like their surroundings and I think Mudhoney always captured the NW thing perfectly. While some of their stuff sounds dated to me now I know for a fact I thought it was the bees knees back in 1992. "If I Think" was always a wonderful, non-corny chick song, a rare find for a cool guy like me.